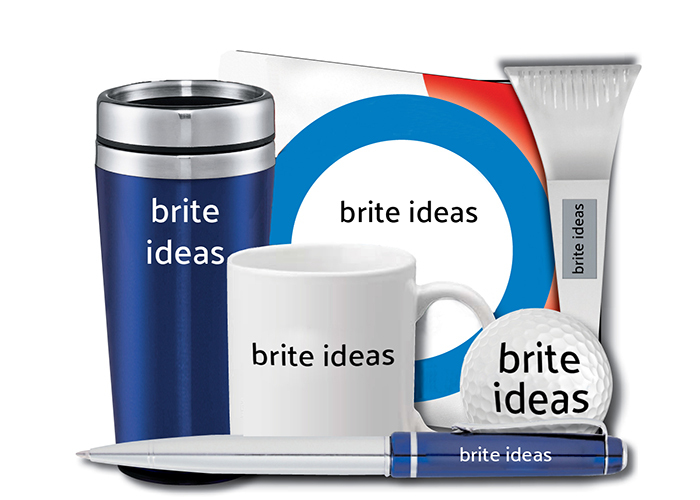 Imprinted promotional items is the main merchandising tool. Through merchandising, companies help reinforce the awareness about the product among the customers. When a customer visits a retail shop, his attention can be caught by an attractive display of a new product/ brand, increasing his awareness of and his interest in the product. The merchandising activities, which include displays, complement the selling efforts of the company and act as a silent salesman at the retail outlet. Often, it is merchandizing at the store level–all those dealer level activities, including display and service- that speeds up the movement of products from the store counter to the shopper’s basket. A consumer who normally goes to a retail store to buy his usual brand may switch over to a competing brand after seeing the product on display. In today’s highly competitive market, many companies see to it that the store as a total unit becomes a display unit attracting high consumer traffic. Good imprinted promotional items at the store level often prompt the buyer in different ways to buy ‘now’ rather than later, buy more than the originally intended quantity or buy a particular pack size in preference to another. All these are essentially sales promotional objectives. While advertising can only make a consumer aware of the product or generate in him a desire for it, merchandizing in many cases instantly motivates a consumer to buy a product. We provide detailed information on Promotional Items, Business Promotional Items, Trade Show Promotional Items, Imprinted Promotional Items and items with Corporate Branding. We would like to be your one-stop source for promotional item giveaways, trade show giveaways and imprinted items of all kinds. If you are searching for promotional products, custom imprinted promotional items, logo items, custom magnets, custom mugs, employee incentives or thousands of other promotional products and imprinted items we can help. You will find custom imprinted promotional items for corporate logo branding, business promotional items, trade show giveaways, health care promotional products, company apparel and business promotional gifts. Custom logo items including badge holders, business bags, watches, promotional t-shirts, polo shirts, caps, hats, pens, fine writing instruments, note pads, umbrellas, flashlights, mugs and coolers are a just a few of the many promotion items, products, gifts and giveaways we have available with your corporate logo custom imprinted. Browse our selection of imprinted promotional items expecting to find a generous selection at reasonable prices. If you have an event date to meet, rest assured your order will be delivered on time given a realistic in hands delivery date. Providing you the customer with promotional products, trade show giveaways and promotional gifts is our business! Imprinted promotional items and products create goodwill and customer retention. Perhaps you should consider beginning your own customer promotional program as well. All it takes is a tiered selection of promotional items and promotional gifts. Consider your current customer base and how much to budget to begin your program. You may distribute them in person, by mail or use a qualified shipper. With the world of business moving faster and faster each day, you need a way to keep current customers, and bring in fresh customers as much as you can. To accomplish this you must have good advertisement, and that’s where we come in. We specialize in custom imprinted promotional items, and offer a HUGE selection of products to choose from. Looking for advertisements to fit your business? We offer thousands of themed promotional items that are perfect for almost any business, all which can be custom printed with your logo or print. Although we strive to offer new imprinted promotional items as they become available, our selection is so vast we cannot possibly display all promotion items and options available in our industry. Just our promotional shirts, caps and hats, pens, mugs, coolers full selection would be enough to keep your marketing staff researching items for a year! Who wants to sort through over 500,000 promotional products, anyway? For this reason, we offer a generous online selection of imprinted promotional items and personalized service available through our personal account executives. Whether your need is for promotional products, promotional gifts or trade show giveaways, please feel free to contact us. We are happy to serve you for business promotion. We are your source for imprinted promotional items/products advertising. Whether the products are Union Made, “Made in America” or imported, we will bring to you imprinted promotional advertising items at the best possible prices and the highest quality. Our professional staff will research and bring you new ideas that will promote your company/products with unique taste, style and presentation. Whether you need imprinted promotional items for specialty advertising promotion, trade show or convention, corporate gifts, a marketing campaign or personalized gifts for employee safety and incentive programs, our knowledgeable staff can assist you in turning your items into custom imprinted products that reflect your corporate identity. We’re always here to walk you through any part of our site and/or provide you with any additional information you need to make a decision.